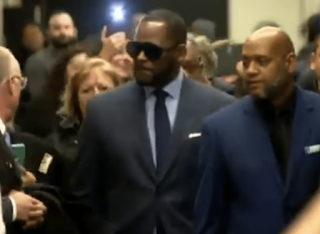 Kellz claims to have five concert dates lined up in the United Arab Emirates that were booked before his was charged with 16 counts of sexual abuse involving minors. He is also scheduled to meet the Royal Families of the UAE [click here if you missed that]. That is the perfect place for him and his followers! The cult of R’uh!!! Robert, Robert, Robert!!!! Sop trying to play us!!! Sit your sicko arse down and get ready for these charges and jail to hit that arse like a pile of bricks!!! Plus no need to travel the McDonalds you stalk little girls at is hiring!! !